Located within the boundaries of the Ranthambore National park, the Ranthambore Fort has been declared as a world heritage site by UNESCO. Before India got Independent, the Ranthambore National Park used to serve as the hunting ground for the Kings of Jaipur, because of rich bio-diversity of animals and birds, who lived here. Even today, the 4km2 area of Ranthambore Fort is virtually divided into two sections. Whereas, the Western part of the fort contains many temples and Holy Stambhas, the Eastern part is still considered as a wild area where, a number of species of birds, leopards and Fishing cats etc. are frequently seen. 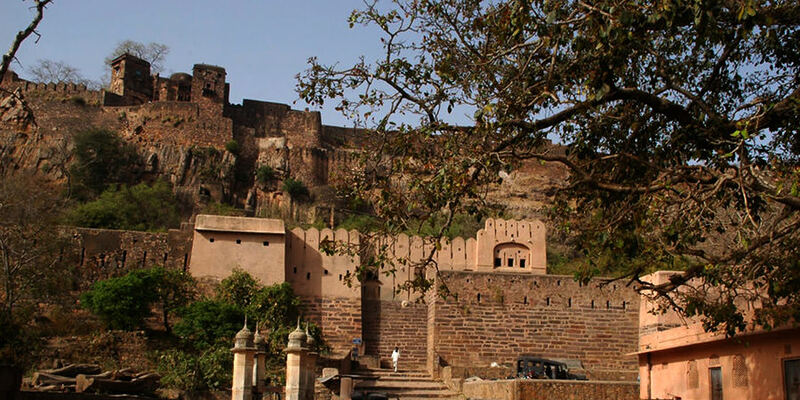 The Ranthambore Fort used to be a place, highly coveted by the rulers of North India, due to its presence in between the trade route of North and Central India. Rajput King Sapaldaksha of Chauhan Dynasty started the construction of the fort on 944 AD. And since then many of his successors contributed towards the construction of Ranthambore Fort. Rao Hammir Deo Chauhan was the one whose role has been considered as the majore one. Ala-uddin khilji tries to capture the fort during 1300 AD but failed to do so. After three unsuccessful attempts, his army finally conquered the Ranthmbhore Fort in 13th century and ended the reign of the chauhanas. After three centuries Akbar finally took over the Fort and dissolved the State of Ranthambhore in 1558. The fort stayed in the possession of the Mughal rulers till the mid 18th century. In 18th century the Maratha rulers were at their peak and to check them Sawai Madho Singh, that time king of the Jaipur requested Mughals to had over the Fort to him. Sawai Madho Singh then developed the nearby village and fortified the fort adn renamed the village as Sawai Madhopur. Navlakha Pol: This is the first gate provided with an arch facing east, having a width of 3.20 m. There is a provision of guard rooms and gun slits, It is made of ashlar masonry. A copper plate inscription affixed to the gate states that the existing wooden doors were provided during the period of Sawai Jagat Sigh of Jaipur. Hathia Pol: The second gate, facing the south-east, is 3.20 m wide. It is bounded by natural rock on one side and the fort wall on the other. A rectangular Guard room is built over the gate. Ganesh Pol: This is the third gate, facing south, having 3.10m wide span. The beam of the gate is supported by brackets over which is provided a recessed ogee arch. The eastern side of the gate is attached to the rock. Andheri Pol: The last gate, facing north, has a span of 3.30m. It is bounded on both sides by fortification walls and is provided with a recessed ogee arch having projected balconies on sides. Delhi Gate: : It is located in the north-west corner, facing north and measuring 4.70m wide. It is provided with a recessed arch. The gate also has a number of guard cells. Satpol: : It is the loftiest gateway facing south and is situated on the western side of the fort along the nullah. It is 4.70 m wide and is provided with two-storeyed guard cells. Its recess is flanked on both sides by projected balconies. The battlements at the top are built of brick masonry. Suraj Pol: : comparatively, it is a small gateway facing east along the eastern fortification. It is 2.10m wide. The fort have massive walls and gates. 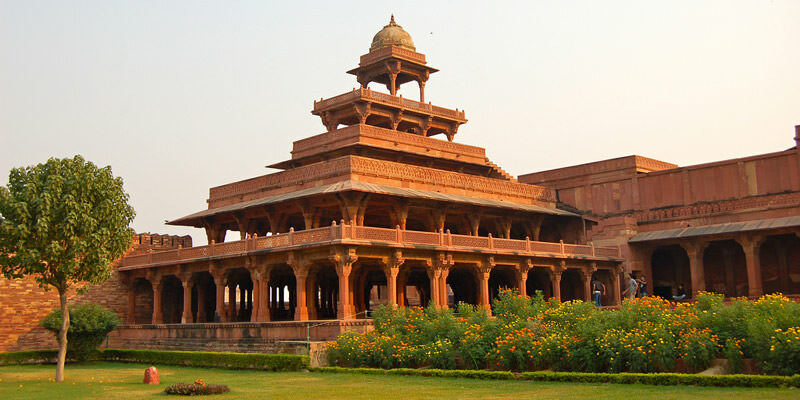 There are number of structures inside the fort like Battis khambha Chhatri, Hammir Badi Kachahari, Hammir Palace , chhoti Kachahari and many more. There are seven gates in the fort namely Navlakha Pol, Hathia Pol, Ganesh Pol, Andheri Pol, Delhi Gate, Satpol, Suraj Pol. Siddhasenasuri, who used to live in the Ranthambore Fort in the 12th century, has listed this place as one of holy Jaina tirthas. The Ganesh Temple near to the main entry gate of the Ranthambore Fort is a Hindu Pilgrimage and is heavily crowded with the worshippers on Ganesh Chaturthi every year. 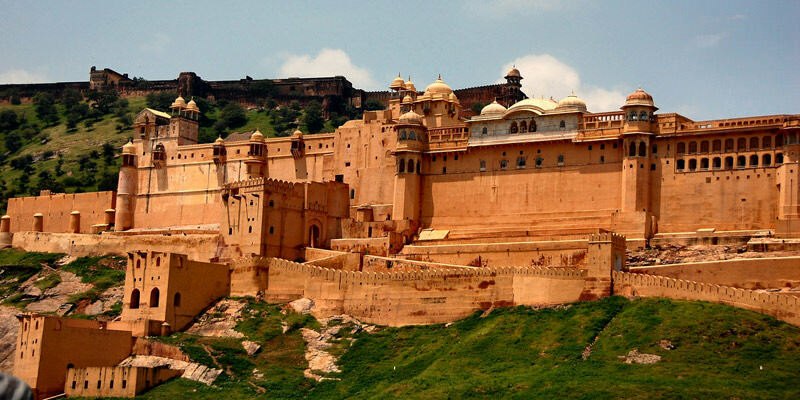 The nearest airport is Jaipur, which is around 150Kms away from the Fort. A number of frequent buses and trains to Jaipur are also available from the major cities of the county. 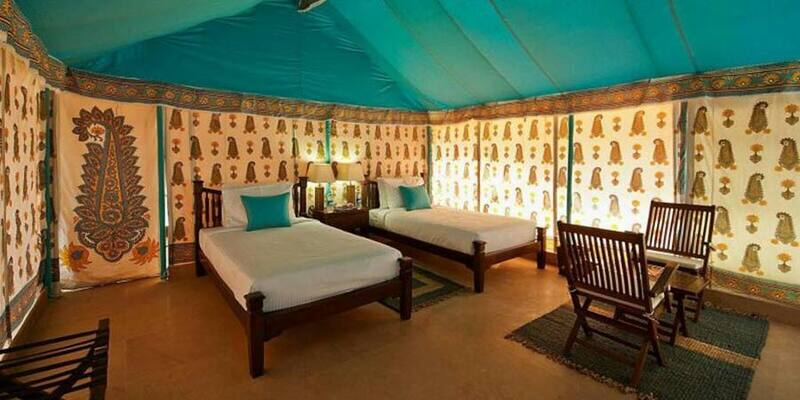 Once you get to the Jaipur City, you can easily find taxis, buses and auto-rickshaws to the Ranthambore Fort. Avoid wandering into the Eastern part of the Fort, as a number of wild animals have been seen there, frequently. It is advisable to wear sun cream in Rajasthan, especially in the summer times. Kindly, avoid any sort of drugs as the penalties for any drug related offences are extremely severe. Exchange your money only at authorized outlets, to avoid the fraudulent by the con men posing as tour guides, around the Ranthambore fort and other public places.